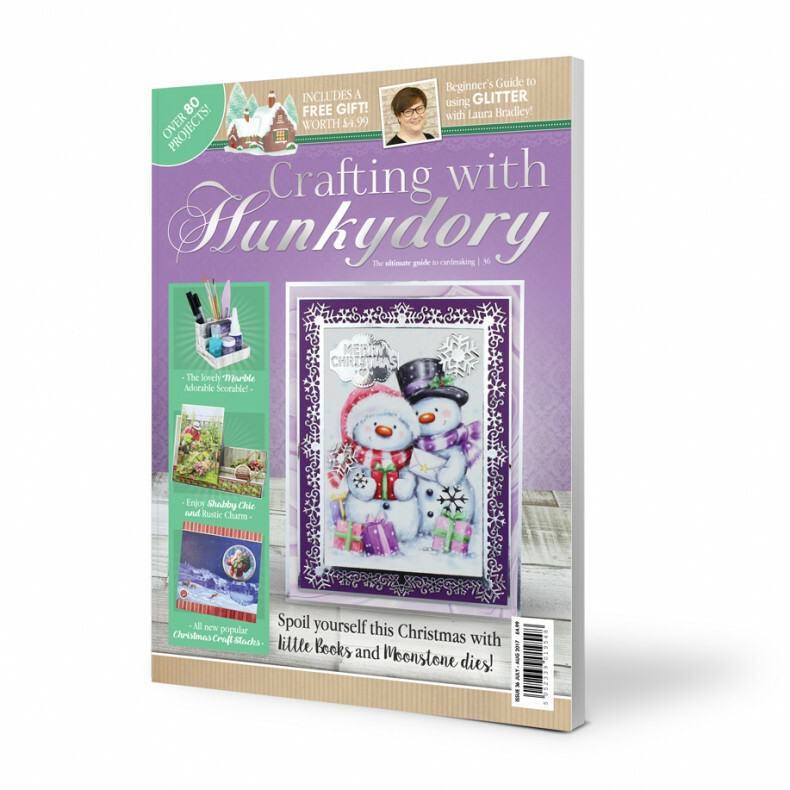 Crafting with Hunkydory is the perfect magazine for all Hunkydory Crafts lovers. This 84-page bi-monthly magazine includes inspiration for over 80 different projects from a wonderful variety of Hunkydory launches, including the new Christmas themed Craft Stacks, the gorgeous Moonstone Dies, Adorable Scorable Marble and much more. Inside you will find a ton of well-loved features including articles by the Hunkydory in-house demonstrators, such as Readers Gallery, Sketch Challenge, Your Letters and more. This issue even contains some fantastic features, including a Beginner’s Guide to using Glitter in cardmaking, and an interview with our brand new creative team member Sheila Halliwell! Crafting with Hunkydory also includes a FREE exclusive Snowfall Wonderland Papercraft Kit worth £4.99. This fabulously festive kit makes 2 stunning Christmas Jar projects that you can decorate with super cute elements including deer, Christmas trees, presents, mistletoe and more! Then your jar can be adorned with our gorgeous Snowfall Acetate for a magically festive touch to what is a stunningly unique and pretty card for someone special!